When you’re renting a commercial vehicle such as transport trucks, it’s important you gain access to a full array of customization options to assure a personalized driving experience. Many drivers don’t consider the additions they can make to their rentals, and as such they miss out on a range of opportunities. This blog will help outline the different customizations that can be added to your rental vehicle. If you’re traveling across Canada in a new truck, it’s not always easy to get your bearings. A cutting-edge GPS system can help in this area, and provide you with a full understanding of your surroundings. The latest GPS systems can even analyze traffic patterns to highlight the most effective route to your destination. This is ideal for those commerce vehicle drivers, for whom time of delivery is a critical factor. 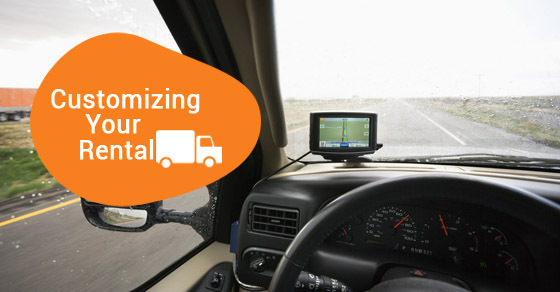 Many rental companies offer a range of GPS upgrades on their commercial vehicles. Satellite radio has quickly become one of the most popular forms of in-car entertainment. There are now thousands of satellite stations for sports, music, talk radio and other radio industries, meaning the option of adding satellite radio to that truck rental can provide exceptional return on investment value. If you’re facing a long day of driving in a rental truck, speak with your rental company about the satellite radio options they provide. For those who wish to streamline their travel from one area of the country to another, it might be beneficial to take toll routes. Many rental companies are now offering the option off adding a transponder to your rental vehicle. The company will charge a certain amount per day to cover your toll charges. If you’re traveling extensively on toll routes, the savings could add up with this addition. While most commercial companies will have their own roadside assistance programs, you might also consider adding roadside assistance services as part of your vehicle rental program. This can help to avoid additional fees for towing and ensures that a tow company is ready on short notice should the vehicle break down. Many of the leading rental companies will be able to offer you savings on your fuel requirements. This option requires you to pay a specific market rate for fuel when you rent the vehicle, and then you will be able to fill up at various stations for a more affordable cost. It’s a leading option for those concerned with changing gas prices. By analyzing your driving requirements, you can select a rental plan that suits your on-the-road needs and meets all potential challenges. Speak with your local rental specialist to learn more on the range of customization options available.